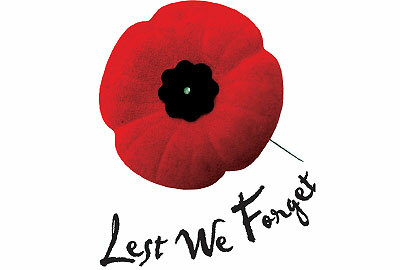 It is Remembrance Day today. At 11:11am local time, on November 11th each year, many people observe a minute of silence to remember several things. They remember the terrible consequences of war where many young men died in the battlefield. Whether the nations are victorious or not, right or wrong, young or old, young lives are lost. Husbands, fathers, professionals, students, workers, and young males from all walks of life fought in the terrible wars. In World War I, nearly ten million soldiers from all sides died, together with more than 7 million civilians. All the major countries of the world were involved from East to West. In World War II, the numbers jumped up to more than 85 million casualties of war. Even today, many wars are still been fought in places like the Middle East, Eastern Europe, Asia, and the Americas. Wars are evil. They leave behind bad scars in the minds of first hand witnesses. Now called veterans in their countries, many have lost parts of their body. Some limped with only one leg. Others became blind or deaf. Still many have endured years of post-traumatic stress disorders. Families grieve whenever a loved one dies in the battlefield. Regardless of which side the soldier fights in, whenever there is a war, there are no winners. While biblical commandment "Thou shalt not kill" is more associated with pre-meditated intent to murder, taking the lives of human beings is evil in itself. That is one reason why countries like Canada have abolished the death penalty. Life in its very essence is sacred. The human brain has an amazing ability to remember but tragically, also the ability to forget. With the number of the past two world war veterans decreasing, will Remembrance Day become less and less significant over the years? I hope not. The dangers of forgetting is real. The Old Testament reminds the Israelites to remember the deeds of God, how God had delivered them from their enemies, lest they forget. Deuteronomy is full of such reminders. Deuteronomy is sometimes referred to as the "second reading of the law." Isn't that itself a reminder of what we need most? Not lots of new stuff or the latest and the greatest ideas or products, but memories. The more we remember, the more we give thanks. The more we appreciate the past, the more grateful we can be in the present. The more we practice remembering, the less likely we forget. Here are several things that can inform our practice of remembrance. Remembrance begins with an intent. Like the saying, "If you fail to plan, you plan to fail," without intentionality, any act of remembrance is a mere hit and miss or come what may. It becomes some kind of a random act if it comes it comes, and if it doesn't come it doesn't come attitude. The Hebrew word "shamar" means to keep watch, to be on guard, and to attend to. There is no randomness about it. Like military disciplines, every exercise, every battle equipment, and every soldier have to be accounted for with purpose and with diligence. There is no such thing as toys or fun games. War is not a game. It is costly. I was a volunteer lifeguard before on an offshore island many years ago. With my official life-guard shirt and the privilege to climb up the tower overlooking the beach, I get free drinks and free entry to the public restrooms. The payback is a day's watch. With binoculars and a sunshade, I need to be watchful of the people on the beach. Every scream, every commotion, and every unusual events have to be carefully observed. If there is any danger, I would need to spring into action. It is very exhausting, especially after the initial hours. People who say that lifeguards do nothing are dead wrong. Lifeguards are responsible to ensure that no one drowns or gets hurt at the beach during their watch. Thankfully, nothing happened on my watch. When we remember, we are not simply putting a check on our to-do list. Neither are we to be content just to attend ceremonies outside and lay flowers on memorial altars. The biblical author of Deuteronomy tells us to keep our soul diligently and watch ourselves closely. The human heart is deceitful and emotions fickle. Watching ourselves carefully means being watchful about what we think and feel. It means guarding our hearts on what enters it and what exits. As a lifeguard, I need to remember that my main role is not to kill time or to keep myself occupied while sitting on the high chair above everyone else. People expect me to look out for their safety. If I care only for myself by trying to multitask with things to keep me occupied, how can I be focused on the activities on the beach or out in the waters? If I have earphones plugged in to my radio, how can I hear any cries for help? If I read my book, my eyes will not be out there in the sea but restricted to the pages of my book. If I daydream about personal things inside my head, I cannot concentrate what is outside of me. Sometimes, I shake my head when I see security guards watching TV or surfing the Internet while leaving the gates wide open. It can be so easy for any stranger to just enter the premises without the guard even knowing. We must watch ourselves carefully, lest we fail in our responsibilities. The experiences of life are valuable, as long as we remember them. Just like the stuff we have in our storerooms. If we fail to organize them properly or to label our boxes, it is so easy to forget what we have. In fact, even if we can remember what we have, if we cannot find them, it is as good as lost. When we fail to remember what we see, it is as good as losing that experience or knowledge. A lot of us have attended conferences and seminars to be trained in all kinds of things. Whether it is a Bible study, a discipleship conference, or some Church event that trains us on something related to our faith, if we do not remember anything at all, it is as good as not attending those events in the first place. Save the money. Forgetting can be a very expensive thing. Think of all the hours we have sacrificed and the time away from family and friends just going for these conferences. Then we forget! 4) "Teach Them to Your Children"
Here is a gem for us. The best way to remember stuff is to teach them. Teach them well. Teach them to our children and then to our children's children. In Church, this is also called discipleship. We can only teach from what we have learned. We cannot teach something that we ourselves do not believe. I remember years ago some friends of mine telling me that all who had the chance to graduate from tertiary institutions are in various ways teachers. It is not necessarily formal teaching in an educational institution. It is sharing experience and testimonies with younger co-workers. It can be doing our part in training someone else to take over our roles. It can be empowering the young to take over important positions as we prepare to venture into our next phase of life. Teaching is a skill with wide-ranging benefits. Equipment need to be calibrated from time to time. The piano and the guitar needs tuning. Syllabi need to be revised. Books need to be updated. Knowledge must be relevant and current. As we become older, we have a responsibility to pass down what we have learned to the next generation, that they too may continue to build upon our good work. The Great Commission is clear. We are to make disciples of all nations. Teaching is a primary calling for us. As long as we have learned something, we can teach something. As long as we keep trying, there is no way we can fail. As long as we remember, we will not easily forget. If we remember the horrors and evils of war, we will remember not to let that happen again.